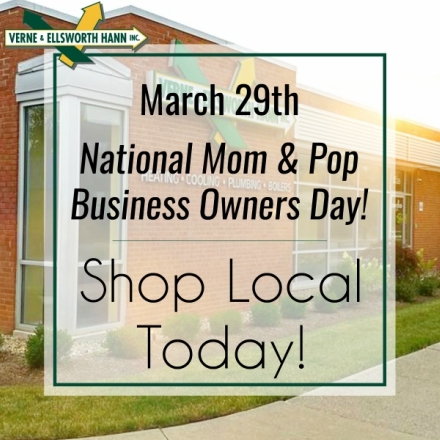 Today is National Mom & Pop Business Owners Day! The definition of a Mom & Pop Business is a small independent, family-owned and operated business that is not a franchise and has a single location. Verne & Ellsworth Hann, located in Cleveland Heights, is proud to be a 5-generation family owned company. Serving Northeast Ohio for over 63 years, Verne & Ellsworth Hann is a part of the Heights community and supports small locally owned businesses. When a consumer buys local, more money stays in the community which helps improve the local economy. You tend to know the people behind the product or service. For instance, Verne & Ellsworth Hann co-owners and brothers, Bill and Chris Hann, get recognized often. This is because they are highly involved in every heating and air conditioning project throughout the entire process. They are seen in and around Cleveland Heights and the surrounding area and their faces are in our local ads. 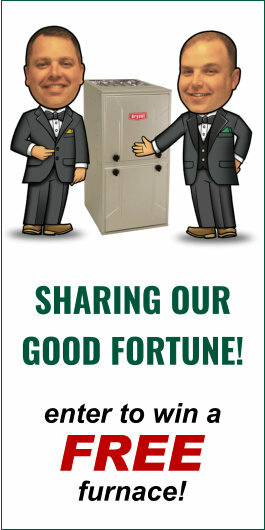 Bill and Chris Hann have a personal connection with our customers and that’s something our customers truly appreciate. Buying locally, you will get better customer service. Did you know at Verne & Ellsworth Hann, Bill and Chris Hann do all of our furnace, boiler and air conditioning estimates? Verne & Ellsworth Hann does not employ a sales staff. When you call for an estimate, you will talk directly to the owners. And when you call to set up service you will be greeted by a friendly voice. There are no automated phone lines here! You will get a better level of service overall when you buy locally. If you are in need of heating, cooling or plumbing repairs, replacements or additions, call Verne & Ellsworth Hann today at 216-932-9755. We service Cleveland Heights, Shaker Heights, University Heights, Highland Heights, Richmond Heights, Solon, Pepper Pike, Lyndhurst and Northeast Ohio. To see the full list of our service area, visit our website at VEHbrothers.com or call or office today.